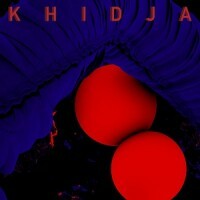 After turning in a wall-shaking remix of Essaie pas last year, Romanian production duo Khidja present their first EP for DFA. These four tracks are deep, spooky heaters - think John Carpenter in the club, with industrial basslines, frenetic melodies careering a bit out of control and vocals echoing from the corners of the room. The duo’s signature throb runs along all four tracks, influenced by their time spent in underground scenes in Bucharest, London and Berlin, as well as an emphasis on the jagged sounds of hardware. Having established themselves with previous releases on labels like Hivern Discs and Malka Tuti, Khidja get darker, dubbier and more twisted on "In The Middle Of The Night". We find the record in the witching hour and the tracks represent the cycle of night-time mentalities, revealing the various directions the mind can wander in the place between consciousness and unconsciousness - mania, paranoia, even boredom. It all makes for a raucous dancefloor experience, with the duo bringing something new and heavy to the DFA roster. For fans of John Talabot, Severed Heads, Factory Floor, Front 242, Andrew Weatherall.